We’ve talked about researcher John Gottman’s Four Horsemen of the Apocalypse, in terms of relationships. These four: Criticism, Defensiveness, Contempt and Stonewalling, are very sure predictors of relationship demise. Each of these erodes intimacy, decreases trust, and increases the likelihood that the relationship will fail. The fourth horseman, stonewalling, is when one partner stops responding or talking to the other. When one brings up a topic, the other just simply doesn’t respond, or walks out of the room, or starts watching TV. 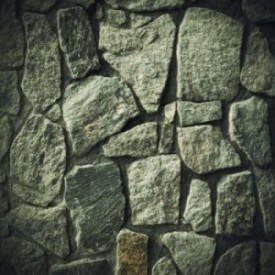 Stonewalling is when talking to the other person is like talking to a stone wall – there is no interaction or engagement. It can be extremely frustrating. I remember vividly the day (about 14 years ago) that we were having breakfast at my then girlfriend’s place. I said something innocuous, and she just stopped talking to me for hours. I didn’t know what to do. I ended up just leaving to go home. It happened many times during our relationship. Often, people stonewall because they are triggered. If they don’t understand their triggers, or something is a very deep trigger, it can cause fear, which can lead to paralysis. I’ve had that happen to me. Other times, stonewalling is a kind of manipulation – a way to deflect whatever the other person is concerned about, or wants to bring up. If you are with someone who stonewalls, your best bet is to respond with how you feel about it. It’s important that you express your feelings, as well as a concrete time frame for when something can be discussed. Continued stonewalling will almost definitely kill your relationship.